Principles of X-Ray Diagnosis covers the system of observation and deductions of a radiologist taken from radiographs. This book is composed of 12 chapters that discuss the principles of diagnostic radiology and the methods of producing radiographs. 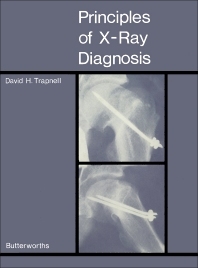 Some of the topics covered in the book are the production of X-rays; formation of radiographic image; application and definition of fluorescence; intensification of an image; determining the quality of a radiograph; practical problems of radiography; preparing a radiograph; analysing defects in radiographs; and factors affecting film quality. Other chapters provide the method of determining lesion site and the detection and significance of fluid levels. These topics are followed by descriptions of the characteristics and assessment of chest radiographs. The final chapter is devoted to the normal radiographic anatomy of the heart. The book can provide useful information to the radiologists, doctors, students, and researchers.